Hey there! Thanks for dropping by The Movie Universe! Take a look around and grab the RSS feed to stay updated. See you around! Plot: In the pre-Civil War United States, Solomon Northup, a free black man from upstate New York, is abducted and sold into slavery. Films about slavery seem to be becoming the new Western. Every year there are now high profile stories of slavery being told on the big screen and 2014 will be no different with Steve McQueen gunning for Oscar glory. Perhaps the most noticeable thing about this trailer is in fact Brad Pitt’s beard, just for the sheer ridiculousness of how it looks… but that might just be me. However, if you can look past Pitt’s beard what you’ll find is this really touching, almost unbelievable true story about one man’s descent into slavery and his fight against it. Chiwetel Ejiodor is not a name that everyone will be familiar with but he has starred in a huge number of films over the years and finally takes centre stage in a star studded cast. Established stars Pitt and Fassbender, who looks like he’s playing an incredibly nasty piece of work and doing it so well, join rising star Paul Dano and the incredible Scoot McNairy who I am a big fan of! Plot: The Dwarves, Bilbo and Gandalf have successfully escaped the Misty Mountains, and Bilbo has gained the One Ring. They all continue their journey to get their gold back from the Dragon, Smaug. The new Middle Earth trilogy began last year with An Unexpected Journey which, in my opinion, came nowhere close to touching the Lord of the Rings films and could have been a lot better, the slow pace at which events unravelled being the most alarming concern. However, it built a nice platform for the next films to advance on. With this trailer it certainly looks as though things will be a bit more action heavy and faster paced. We get glimpses of fight scenes, the reappearance of Legolas and completely new character Tauriel (although how much fans of the source material will like her remains to be seen) and we’re also treated (or not) to seeing pretty much every character in the film jumping. I think I do watch this trailer with a lot of cynicism, I felt hugely let down when watching An Unexpected Journey because it was so far apart from the Lord of the Rings trilogy. The CGI here used for Smaug as well does not look as good as it should do in this kind of big budget movie. I hope that upon release I am proved wrong and that Smaug looks great and the film will be exciting and action packed! It probably says a lot for this trailer that the most exciting thing, for me, was the return of Orland Bloom. And when that’s exciting, you know things are bad. With J.J. Abrams set to direct the new Star Wars film it is as yet unknown whether he will return for the inevitable conclusion to his finely crafted trilogy that has successfully reinstated Star Trek as one of the most important science fiction franchises in the world. Has he left behind a good legacy with Into Darkness? Star Trek Into Darkness picks up with Captain James Kirk (Chris Pine) and his new crew, at least new in this franchise, already on a mission on the pre-civilisation planet of Nibiru; it is clear right from the off that the crew of the USS Enterprise are not going to be without danger as Spock’s life is immediately put on the line. Luckily, he survives and manages to carry on with the rest of the film. Where eventually they run into John Harrison (Benedict Cumberbatch), who just so happens to be Star Trek’s arguably most famous villain, Kahn. Kahn is carrying out terrorist acts that turn this film into an emotional chess game between Kirk and Kahn as the two battle it out in a test of will, strength and heroics as they battle to save their respective crews: only one side can win. The first thing you notice about Into Darkness (and one of the most significant things) is that it does not feel like a sequel: the film immediately places you at the heart of the action with little knowledge of the previous film (or even Star Trek in general) required to enjoy the film. The whole of the Enterprise crew is back including Kirk, Spock (Zachary Quinto), Sulu (John Cho), Scotty (Simon Pegg) and Captain Pike (Bruce Greenwood) and none of the characters come off badly with each one, even Chekov (Anton Yelchin) having their moment in the spotlight; it would have been nice to have seen Uhura (Zoe Saldana) do more, however as her character does feel less like an equal crew member and more like a pawn to try and evoke some emotion in Spock, something she doesn’t really do that well. The old faces are joined by new additions such as the incredible Benedict Cumberbatch and the almost pointless Alice Eve. Cumberbatch’s portrayal of Kahn is really spectacular; this is the greatest villain that will hit the screens this summer and is the most memorable in modern blockbusters, as far as my memory serves me anyhow. He poses a serious threat to Kirk and his crew on a mental and physical scale. Right from the off he gives you the creeps and it is clear his plan is very well thought out. The action takes place at a quick pace, occasionally slowing down to give the audience some breathing space and for the characters, mainly Kirk and Spock, to talk their problems through which does sometimes border on the line of good or bad writing; but that can be forgiven as you can guarantee whenever something feels stale Into Darkness shakes things up (quite literally), the amount of times they get attacked off guard id pretty suspicious for a craft of such high technology. But the action scenes are spectacular, right off the bat from Nibiru, to the home of the Klingons on Kronos, right up to the final fight scene between Spock and Kahn. With such a lot hanging in the balance for Kirk, Spock etc. it seems imperative that there is humour injected into the story and that comes in the, predictable, forms of Bones (Karl Urban) and Scotty. This story centres on Kirk and Kahn but the majority of my attention was on Bones, coming out with quality one liners and throwing around metaphors like they were going out of fashion: he’s a treat every time he comes on screen. Into Darkness closes with the USS Enterprise about to embark on a five year mission. Is this five years a hint at how long it will be until we see the third chapter of this Star Trek revival? If so, maybe Abrams will be back on board. Part of me doesn’t want to wait so long but part of me longs for the return of Abrams to finish what he started! In my Iron Man 3 review I claimed that Iron Man 3 could be the best blockbuster of the summer. Well all that’s changed now: Star Trek Into Darkness will not be topped. Born Emily Jean Stone the young actress took on the name Emma when registering with the Screen Actors Guild due to there already being an Emily Stone registered. That’s a nice little fact not many people will be too aware of. Anyway, Emma Stone is just one of a new wave of actresses who are currently winning critics over and gaining fans with every performance they put in. In this category I place Stone with the likes of Jennifer Lawrence, Michelle Williams and Carey Mulligan among others. But there is something different that sets Emma Stone apart from the rest; she has a very distinct and intriguing appeal. Emma Stone got her first leading role in 2010’s Easy A, a film which focusses on the novel A Scarlet Letter and parallels that with the main character’s life: Olive, played by Emma Stone. I believe that Stone’s performance here is a clear example of just what a wonderful actress she is to watch. Olive is caught up in a web of lies after just trying to shut her friend up by telling her that she has lost her virginity, when in fact she has not. All of this gets out of hand and pretty much ruins Olive’s life. But the way the story is told is from Olive’s first person perspective, already giving us Stone’s narration. As well as this the film uses the narrative device of Stone talking into her webcam (which becomes the screen). This makes Stone’s performance just seem incredibly relaxed and natural and allowing the audience to see her in this way brings us a lot closer to the character and, in effect, Emma Stone herself. Her performance is full of vibrancy and sarcastic humour, outshone only by the frankly quite incredible Stanley Tucci. Emma Stone’s career has continued to go from strength to strength and she has proven that she is not just a one trick pony, despite being more than comfortable and one of the funniest women in comedy film at the minute. She had supporting roles in Friends With Benefits and Crazy, Stupid, Love (where she would work with Ryan Gosling for the first of quite a few times over the next couple of years) before joining The Help. The Help features an ensemble cast of actresses, not one of whom puts a foot wrong in terms of their performance here. Stone joins the likes of Jessica Chastain (another relatively new actress who is just exceptional at her craft), Octavia Spencer, Bryce Dallas Howard and Viola Davis. Stone’s performance helped The Help win many nomination and awards for it’s cast’s performances. With The Amazing Spider-Man, Emma Stone became the latest actress to join the superhero film genre. However, unlike the latest incarnations of Pepper Potts, Lois Lane and Rachel Dawes we have seen, Stone’s Gwen Stacy was not the typical damsel in distress as she could more than hold her own; standing up to Flash, being incredible stubborn in an attempt to save New York that could have seen her killed as well as smacking The Lizard over the head during a fight with Spider-Man. Then Stone joined a much more testosterone fuelled ensemble in Gangster Squad, joining Ryan Gosling, Sean Penn, Josh Brolin and Anthony Mackie. She recently lent her voice to the prehistoric animation film from DreamWorks: The Croods. I think you would have to go a long way to find any young actress working today with the combination of talent and on screen charisma that Emma Stone has. She has a wonderful presence on screen with a beautiful charm about her and her career shows no signs of slowing anytime soon. Next year will see her reprise her role of Gwen Stacy in The Amazing Spider-Man 2, while Birdman (from the director of 21 Grams and Babel) is in pre-production. She is also signed on to star in Guillermo Del Toro’s exciting Crimson Peak which is snapping up a superb cast in the form of Benedict Cumberbatch and Jessica Chastain. Hopefully we will get to see Emma Stone taking the lead in more and more films over the next few years but for now I am happy enough seeing her play supporting roles if she continues to be as good as she is right now! Whenever Marvel move along with their casting that always interests me and there are two important pieces of casting news this week. Firstly, it has been announced who will be playing Star-Lord, the lead role, in the ambitious Guardians of the Galaxy. That man will be Chris Pratt. Pratt is currently on cinema screens in Zero Dark Thirty where he is receiving a lot of praise for his performance and he has also recently starred in Moneyball and The Five-Year Engagement (where he was by far the best character) so this looks like a fine piece of casting! And the brilliant Emily VanCamp (of fantastic hit show Revenge) has landed the lead female role in Captain America: Winter Soldier. I’m a huge fan of Revenge and VanCamp is incredible so hopefully we’ll get to see her show off her fighting skills in the Marvel sequel too. No official word on who she will be playing has been released yet but it is thought to be Sharon Carter, a relation of Cap’s love interest Peggy Carter in The First Avenger. Pratt and VanCamp appeared alongside one another in Everwood. Star Wars news: Disney looking to cash in as quick as possible! This week Disney have announced that they will be working on standalone spin-off films. Now, I don’t like this idea because I’m not a fan of Star Wars on the whole, but as I understand it Star Wars (all six episodes) is the story of the Skywalker family. And that is how it should stay! Sure, lots of people want to explore the Star Wars universe but do you have to really do this blatant money making scheme to achieve that? Anyway, it is rumoured that a Yoda spin-off is going to be the first to be developed. Back in 2007 Timothy Olyphant was the star of the Hitman film, an adaptation of the successful video game series that fans could never really decide whether they liked it or not. Just a mere six years later and Fox have decided what they are going to do with the franchise: reboot it with Paul Walker in the title role of Agent 47. I like Walker as much as anyone in the Fast & Furious franchise but has anything else he has done been a hit? Don’t even mention Into the Blue, what the hell was that?! But anyway, I just don’t see Walker as a good fit for the role and would have preferred to have seen Olyphant return to shave his head once again. And finally, Benedict Cumberbatch has landed the lead role in The Imitation Game. The film follows Alan Turing, an important man of British history said to be the father of computer science as he played a pivotal role in the creation of the modern computer and also helped crack the “Enigma Code” during World War 2. The script was bought for seven figures with Leonardo DiCaprio set to star in the film but with him deciding to take a break Cumberbatch has landed the role. There’s sure to be some Oscar love for this when it eventually gets released. Cumberbatch’s career is really taking off! 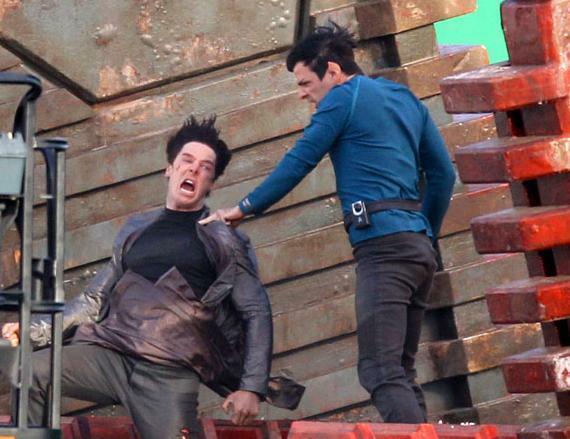 First Star Trek Into Darkness Trailer Hits! Stars: JJ Abrams (director), Chris Pine, Zachary Quinto, Benedict Cumberbatch, Zoe Saldana, Karl Urban, Simon Pegg, Anton Yelchin, John Cho, Bruce Greenwood, Alice Eve. Plot: After the crew of the Enterprise find an unstoppable force of terror from within their own organization, Captain Kirk leads a manhunt to a war-zone world to capture a one man weapon of mass destruction. The poster for Star Trek Into Darkness was released earlier this week and that has been followed with this brilliant, action packed new trailer. There’s not a lot of things we can learn from this but one thing is that Cumberbatch’s unknown villain is out for “vengeance”, therefore making for a very interesting back story for the villain to have. We don’t see too much of the crew of the Enterprise in their usual colour coded uniforms in the trailer and that might be an indication to the fact that Into Darkness may not be taking place in space that much. It seems as though a lot of the action will in fact take place on Earth. This trailer does it’s job perfectly. Star Trek fans across the world have been waiting for their first real glimpse of action from the sequel and they will not be disappointed with this! News of the Week (28/11/12) – Batman, X-Men, Star Trek. When the crew of the Enterprise is called back home, they find an unstoppable force of terror from within their own organization has detonated the fleet and everything it stands for, leaving our world in a state of crisis. With a personal score to settle, Captain Kirk leads a manhunt to a war-zone world to capture a one man weapon of mass destruction. As our heroes are propelled into an epic chess game of life and death, love will be challenged, friendships will be torn apart, and sacrifices must be made for the only family Kirk has left: his crew. This obviously still doesn’t give away any identity to Cumberbatch’s villain but it seems, from the synopsis, that Cumberbatch could be playing an old rival of Kirk’s from within the organisation of Starfleet that has become this ‘one man weapon of mass destruction’. Either way, it still sounds fantastic. Next up. There has been a lot of talk about characters returning to the X-Men franchise for Days of Future Past. With the return of Bryan Singer as director of the franchise it seemed every more likely. Already James McAvoy, Jennifer Lawrence, Nicholas Hoult and Michael Fassbender are set to reprise their roles but now we also know that Patrick Stewart AND Ian McKellen are both returning! Bryan Singer has also said that there are “more announcements to be made” which could hint at several other returning characters from the original trilogy. It has long been a source of speculation but these announcements have absolutely made it clear that this will tie together all of the strands of the film series so far (hopefully). And it will be great to see two Xaviers and Magnetos on screen (especially since Stewart and McKellen do it so well). They’re two of the most lovable old fellows in the acting world. And finally.. this is just a rumour for now but as we all know there is a Justice League film in the works at Warner Bros. and this week Zack Snyder hinted that his Superman reboot Man of Steel could be tied in to it all. However, that’s not the news I’m bothered about. 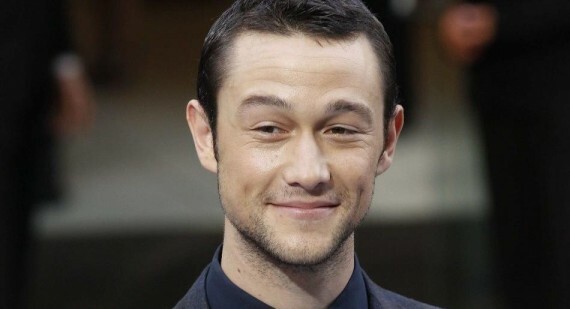 The rumour doing the rounds this week comes from an insider that has said that Joseph Gordon-Levitt is in line to take up the Batman cowl for the superhero team up that won’t be as good as The Avengers. Obviously, if he did this would be a natural progression as JGL’s character (Christopher Nolan’s Robin) in The Dark Knight Rises, it is hinted, takes on the mantle of Batman after Bruce Wayne hangs up his job. However, it is still unknown whether Justice League will respect what happened in The Dark Knight trilogy (probably not) so JGL could still play Bruce Wayne if this was to be done, but like I said… for now this is just a rumour. Who Will Be The Next James Bond? Having had bit parts in a few films during his career, Cavill was then cast as a main character in the BBC’s hit drama The Tudors where he stayed up until 2010 before deciding to try his hands at films once more and, last year, starred in Immortals. Coming up very soon Cavill stars in The Cold Light of Day which will see him put his action skills to the test. 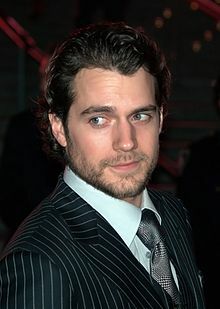 Cavill auditioned for James Bond before Daniel Craig was given the nod as producers felt Cavill was too young. But being that extra few years older now could see him as the favourite for the role. This must be a long shot now, however, as since then Cavill has gone on to win the role of Clark Kent (or Superman, as you might know him) in the upcoming superhero reboot. Here is a British actor taking Hollywood by storm. Best known to audiences for portraying Sherlock Holmes in the BBC’s modern adaptation of the famous detective, he is now moving into films. He has recently starred in two critical successes War Horse and Tinker, Tailor, Soldier, Spy and has a role in the sequel to JJ Abrams Star Trek and has two roles Lord of the Rings prequel, The Hobbit. His name has been banded about by fans of Sherlock as a possible successor to Daniel Craig and having already portrayed Sherlock Holmes, Cumberbatch knows the pressures of playing an iconic character. Hardy is without a doubt one of the best British actors of the moment. He has starred in hit after hit with Bronson, RocknRolla, Warrior, Tinker Tailor Soldier Spy, Inception and will soon be playing the villain in Christopher Nolan’s The Dark Knight Rises. There is no doubting this man’s talents; he has past experience of playing a spy, showing his serious side in Tinker Tailor Soldier Spy and his charming and funny side in the less serious This Means War. Hardy always throws his all into any acting role and has expressed an interest in playing Bond, although that relies on Christopher Nolan directing, which does not seem very probable at all. Michael Fassbender is fast becoming a wanted man in Hollywood with his performances gaining praise whatever he does. After bursting onto the scene, the half-Irish, half-German actor has become a favourite of mainstream audiences. When X-Men First Class was released there were many comments about the similarities between James Bond and Fassbender’s Magneto at the beginning of the film. There is no doubt that Fassbender has the ability to carry off the part if he was given it but with his commitments to the X-Men it may be hard to find time within his schedule. Okay, so this suggestion is a bit out there but Dominic Cooper is a fine British talent and deserves more recognition across mainstream audiences than he gets at the minute. I think that he definitely looks like a guy who could play James Bond and despite having a career more geared towards drama and romance he is stepping into action films; he was in Captain America and will soon be seen in Abraham Lincoln Vampire Hunter. He may not have the full set yet, but who knows, when the time comes Cooper might be in with a shout. 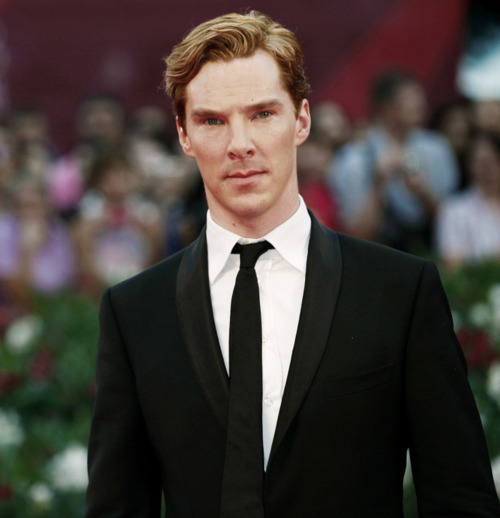 I think that the next James Bond definitely has to be British. Bond is an English spy and so an English actor is necessary, although with the recent influx of British actors taking over American icons such as Batman, Superman and Spider-man film makers may feel that the nationality of the actor is no longer important. Daniel Craig still has the suit at the minute though and this is purely speculation, but my choice would definitely be Tom Hardy. In 2009, J.. Abrams introduced Star Trek to a whole new generation of fans with a fantastic reboot of the series. Next year he will be hoping to follow that up with the, as yet untitled, sequel to the blockbuster that was a critical and commercial success. Not a lot is known about the sequel so far other than the fact that everybody from the crew of the original film will be reprising their roles. Benicio Del Toro reportedly turned down the role of villain which was then passed on to the brilliant Benedict Cumberbatch although it has not yet been announced who he will be playing. When that character is revealed we might be able to guess a little about the story. These first pictures show Spock with the villain in the Vulcan nerve pinch. The villain, by the way, in a Starfleet uniform which is very interesting. 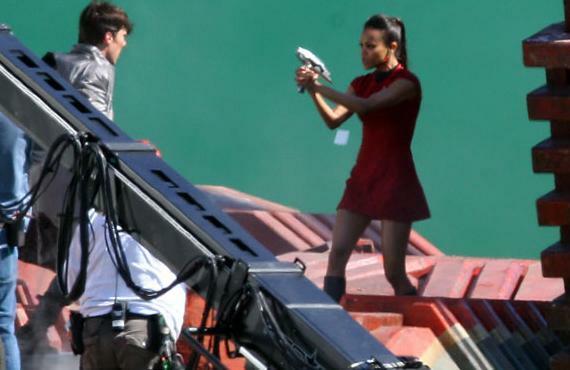 The second shows Uhura and the villain after he escapes Spock’s pinch. Hopefully more pictures will be released soon and get anticipation high before a trailer hits, fingers crossed, before the end of the year. Billy Connolly joins The Hobbit. So the final addition to the cast has been made. Billy Connolly will be playing a dwarf by the name of Dain Ironfoot, described by director Peter Jackson as ‘the staunchest and toughest of all the dwarves’. Billy Connolly joins other Middle Earth newcomers Martin Freeman (Bilbo Baggins), Benedict Cumberbatch (Smaug/Necromancer) and Richard Armitage (Thorin Oakenshield) in The Hobbit. The newcomers will be supported by some very familiar faces returning including Sir Ian McKellen as Gandalf, Hugo Weaving as Elrond and of course, the brilliant Andy Serkis as Gollum. Part 1: “The Hobbit: An Unexpected Journey” is released December 14th 2012. Part 2: “The Hobbit: There and Back Again” is released December 13th 2012. And as an audience we can only hope that The Hobbit is as good as the Lord Of The Rings trilogy. Is that Fast & Furious 7? No. It’s Need for Speed. Which Woman Will Get Marvel’s First Female Superhero Film?